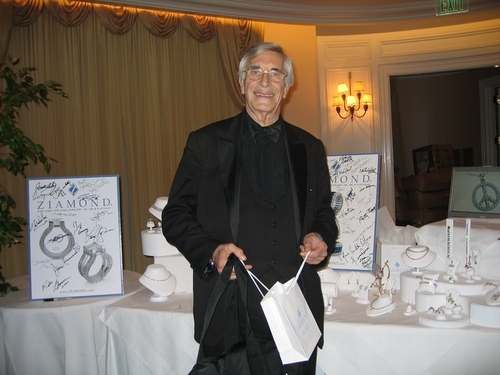 Oscar Winning Actor, Martin Landau, enjoyed his visit with Ziamond Cubic Zirconia CZ Jewelers and their fabulous collection of Cubic Zirconia CZ Jewelry. Ziamond utilizes only the finest of hand cut and hand polished cubic zirconia, as well as, the finest gem cutting facilities in the world. All Ziamond Cubic Zirconia Jewelry is set in 14k gold, 18k gold or platinum.